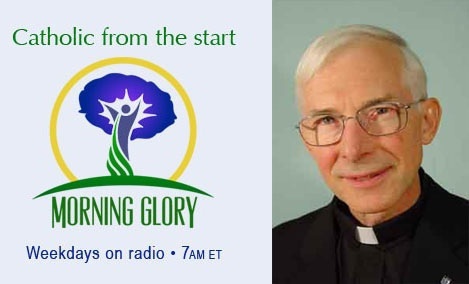 Big Morning Glory line-up tomorrow AM with Jeanne Mancini & Archbishop Blume! Join Brian Patrick & Gloria Purvis as we discuss the biggest news stories of the day including Obama’s big meeting with Bibi Netanyahu since the signing of the Iran Deal! We’ll be joined by Jeanne Mancini of March For Life with a new story showing Planned Parenthood paying off the 6 Democrats that were signed to the investigative panel! Former Intelligence officer & Executive Director of Veterans Against the Deal, Michael Pregent joins to discuss what if anything came out of Bibi and Obama’s meeting, and Papal Nuncio to Uganda, Archbishop Michael Blume joins from Rome to talk about the Pope’s upcoming African trip! Join us at 7am ET on EWTN radio! Leave your comments or questions here, find us on Twitter: @EWTN, or on Facebook. You can also email us directly at morningglory@ewtn.com! ‘See’ you bright & early!